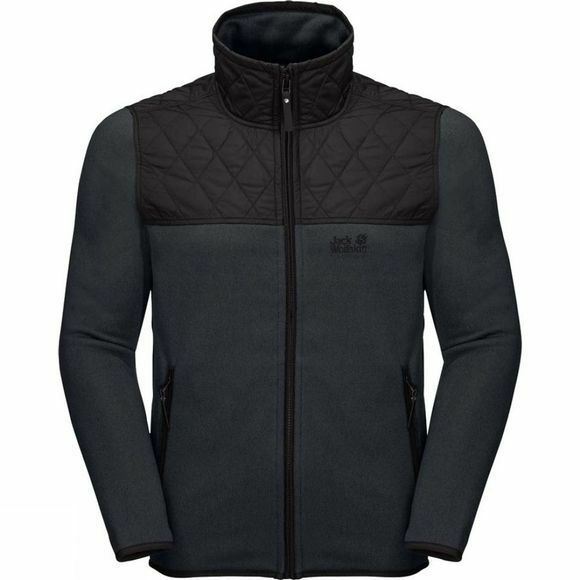 The Mens Mackenzie River Jacket from Jack Wolfskin is a great Jacket to be trekking it In.This Jacket is made of super warm 300-weight Fleece. The shoulders are Wind resistant and have an additional layer of synthetic Insulation. The Jacket has a Knitted-look exterior and a soft, brushed reverse side for added comfort.